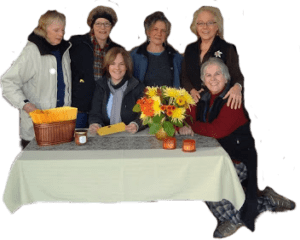 Every year this program provides complete Thanksgiving feasts to over a hundred local families who have been nominated by friends, colleagues, or members of the community. Recipients who are struggling financially take home an entire Thanksgiving meal to cook for themselves and their loved ones in the privacy of their own home rather than waiting in line at a shelter or going without. Join us at the market from May 26th through October 27th to sample fresh, healthy produce from local farmers, enjoy live music, and visit with friends and neighbors. With over 20 vendors including artisans, bakers, beekeepers, leather workers and much more plus a thriving children's program and special events, the market is the place to be on Sundays. Every dollar you spend contributes to a strong local economy and a healthy food network in our community. Whether you're looking for hot food, a great cup of coffee, a sampling of local cheese, honey, and sweet wine or an opportunity to pick up some spectacular locally grown produce, we've got you covered. One of our most popular programs, POP makes the Farmers Market a destination for entire families while introducing children to the joy of growing their own food and understanding where it comes from. Each child enrolled in the program receives $2 in tokens per week to spend on healthy produce or a plant that grows food. With an average of 600 children enrolled in the program, we are educating the next generation about the importance of nutrition along with tools for financial literacy. Plus, it's fun! Just ask any of the kids club members from years past who can't wait for the market to start so they can purchase their next tomato plant. Our next dream for BFF is to bring to life a community garden for Yelm. Gardens provide so much more than just healthy produce; they bring people together while teaching valuable lessons on patience, the wonders of nature, and where our food comes from. This project is still in the inception phase but when the time is right we know it will be a huge contribution to a sustainable and healthy community. Join Us and Become part of our BFF family. Bounty for Families is your local hub for programs that empower, educate, and sustain the community - and all of them involve food! By its very nature food brings people together. 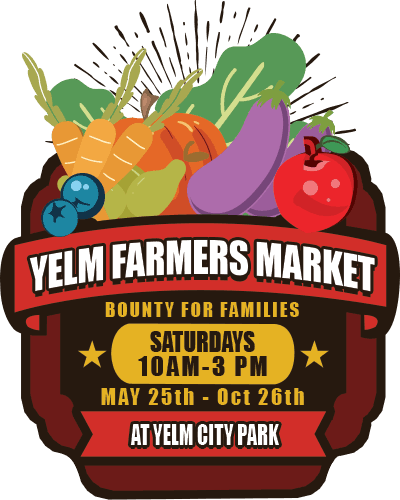 The Yelm Farmers Market, Power of Produce, and Gift of Gobble offer opportunities for people like you to invest in their neighbors and communities by contributing time, effort, and money to projects that make a real difference. Volunteer for the Farmers Market or Gift of Gobble or talk to us about serving on the board of directors. We're always looking for people who share our vision of a thriving and sustainable society. Donate to BFF or become a sponsor. Your contributions make our programs possible. Become a donor to BFF. Whether you donate once or sign up to become a monthly contributor, your generosity makes our programs possible.